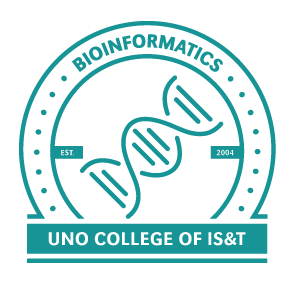 Bioinformatics is an exciting and rapidly-growing field that uses techniques from the computer and information sciences to study biological information and structure. Specifically, it is the science of developing computer databases and algorithms to facilitate and expedite biological research, particularly in the area of genomics. Bioinformatics is an interdisciplinary science, bringing together aspects of computer science, molecular biology, chemistry and mathematics. In order to capitalize on the growing body of genetic information, there is an immense and growing need for experts in this field. 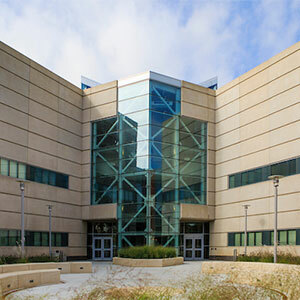 A graduate of the College of IS&T Bioinformatics program will have the background to pursue a wide variety of positions in the biomedical and biotechnology industries, graduate studies in bioinformatics or related areas, or, with the addition of only a couple of courses, medical school. A minimum of 120 credit hours is required for the degree. Students may follow the UNO catalog requirements in effect at the time of their first enrollment, provided continuous enrollment is maintained (fall, spring, fall, spring....). Thirty of the last 36 hours must be University of Nebraska at Omaha courses. Registering for courses without having taken the stated prerequisites could result in administrative withdrawal. Courses such as English 1050, 1090, and 1100 and orientation courses in other colleges or divisions may not be counted as part of the minimum 120 credit hours in the degree program. University Seminar 1010 may be applied as an elective if taken in the first 30 hours of the degree program. No more than four semester hours of physical education may count toward the degree. No more than a maximum of 12 semester credit hours of approved courses may be taken in any one department outside of the College of IS&T with the exception of foreign languages. A maximum of 16 semester credit hours in any one foreign language may be applied to the degree. More than one foreign language is allowed. A repeated course may count only once for graduation. (Exceptions are internships, independent studies, physical education activity courses, and special topic courses). Students must see a College of IS&T advisor regarding the specific requirements for their major. Advising appointments can be scheduled online in MavTrack or by contacting the College of IS&T Academic Advising Office at 402.554.3819. Students must obtain a grade of "C-" or better in each class for the purpose of meeting general education, Departmental, and College requirements. A minimum cumulative GPA of 2.5 is required by the College of Information Science and Technology. Students must complete an online Application for Degree form through Mavlink on or before the deadline during the semester in which they plan to graduate. An Application for Degree fee is payable at the time the application is submitted. Students should visit the UNO Bookstore as soon as possible after submitting the degree application to order a cap and gown and graduation announcements. Deadlines to order graduation items vary depending on the ceremony in which the student plans to participate. Please contact the UNO Bookstore at 402.554.2336 with any questions. See UNO’s general education website for a list of categories and approved courses.